For the second consecutive year, Accelera Solutions, Inc., has been named the Microsoft 2016 Federal Cloud Partner of the Year. The U.S. Public Sector Partner of the Year awards took place during Microsoft’s U.S. Public Sector Industry Solution University 2016 yearly event, where Microsoft’s public sector executive team congratulated Accelera Solutions for its achievements. Winners were selected from more than 100 organizations across public sector segment areas of U.S. government, education and health and life sciences. “The 2016 Public Sector Partner of the Year Award winners represent the most innovative and transformative work being done across our partner community, serving the mission of customers across U.S. government, education and health and life sciences,” said Curt Kolcun, vice president, U.S. public sector, Microsoft. The Partner of the Year achievement recognizes Accelera Solutions for exemplary commitment to Microsoft and to the federal market. 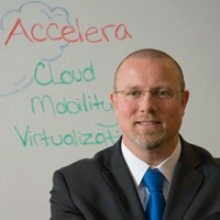 Accelera has in the past two years worked with the Microsoft Federal team to deliver innovative cloud solutions.